‘War in the air, so long the dream of the imaginative novelist, has become a terrible reality’, the Scotsman noted in September 1914, here in another clipping which found its way into Clark’s archive of words. For Clark, as his notebooks record, flight would serve as a particularly telling domain of language and history, providing — from the early days of war — compelling evidence of wide range of new collocations and constructions. New identities proliferated; attack, as newspapers reported, might now come from aerial enemies while a new breed of soldier-aviators were early recognised as important in the directions war might take. ‘We shall no doubt hear more of the desperate missions our fancy has usually associated with the work of the soldier-aviator’, as the Scotsman noted on August 18th 1914; ‘Precautions have been taken with a view to possible visits from aerial enemies at night’, it likewise recorded on September 8th, in a report on Paris at war. Nevertheless, as Clark’s clippings demonstrate, explaining — and describing — these new realities of conflict could be difficult. Did one use aerial raid or air raid in documenting war in the air? Both appear in early pages of Clark’s notebooks, describing attacks on Paris and Rheims. ‘Interesting Details of the Aerial Raid’, the Scotsman announced on 24th September, for example, describing an ‘air raid’ made by the British on the German frontier. ** The OED, as then published, maintained a conspicuous silence; the relevant sections had been completed in 1884. Here an aeroplane was ‘a semi-transparent fabric of the nature of a thin crape’, while an aeronaut was ‘One who sails through the air, or who makes balloon ascents; a balloonist. Clark’s evidence on aviator, aeronaut, and airman, of aviation school, aeroplane service, and aerodrome swiftly confirmed, in this respect, the language – and history – of a very different time. 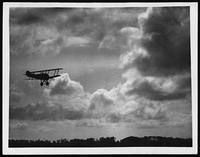 Similar was airmanship (‘’it was superb airmanship’, the Evening News stated on September 3rd). This, as Clark explained, referred to the ability to manage an airship (rather than ‘skill in managing a balloon’, as the OED had earlier stated). Such changes reflected on-going history with marked specificity. As Clark explores, the framing diction of airships (which were likewise absent from the first edition of the OED) would, in this respect, come to inform a range of nautical extensions as journalists strove to report the events taking place across Europe. Attack by ‘a fleet of airships’ had, in fact, also long been the territory of the ‘imaginative novelist’ , as H.G. Wells’s novel War in the Air (1908) confirms. Yet as in the Scotsman on Saturday September 5th,, these terms were to be familiarised in fact rather than fiction, as in reports of the German aerial fleets which sailed across the sky in search of objects to attack: ‘Leiutenants Zalin and Rheinhardt of the aerial fleet have been awarded iron crosses for distinguished achievements’, the Scotsman noted; ’German Air Fleet to attack Paris’, it stated two days later. Aerial piracy becomes, by a further extension, another prominent image in these early days of war. As a range of clippings in Clark’s notebooks confirm, this could convey the ruthlessness and depredation which piracy had traditionally connoted, while simultaneously being transplanted to the conditions of strikingly modern warfare. ‘The aerial pirate stopped in its swoops, and turned so suddenly I wondered it did not break amidships’, an illustrative clipping from the Evening News on 3rd September states. Such forms also, of course, effectively demarcated the conditions of war in other ways. An aerial pirate was, of necessity, an enemy’s airship, as Clark confirms in his accompanying definition; it was, he added, one bound moreover on an errand of destruction’. A pirate here meant a ‘pirate-ship’, he clarified, rather than those on board. Piracy here defined the enemy – the activities of the allies demanded a different, and far more legitimatized, diction. Yet at stake on both sides was, of course, the conquest of the air – another combination which Clark early picks out in use, here in the Star on September 5th: ‘the conquest of the air has served to cloak the most infamous stain in contemporary history. It has demonstrated that the means of flying, in the hands of barbarians, have brought into prominence their savage, terrible, and ignoble brutality’. ** This still antedates, if by four days, the evidence of the modern OED. The entry for airmanship, in OED Online, likewise omits evidence for the war years, moving instead from 1879 to 1937 in ways which occlude the changing senses which are at stake. See “airmanship, n.” OED Online. Oxford University Press, June 2014. Web. 3 September 2014.